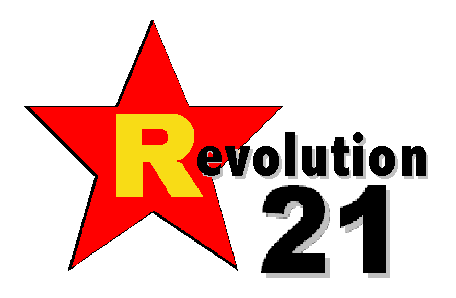 Revolution 21's Blog for the People: The constitutional right to bear nukes? There seems to be a revolutionary fringe in this country -- one most recently animated by President Obama's modest proposals on gun control -- that is so far beyond being capable of engaging with reason in a reasonable manner that these folks probably couldn't even engage with Uncle Earl, Louisiana's late Gov. Earl K. Long. Still, futile as it might ultimately prove with folks who have effectively careened into being anarchists, you've got to try. But, because conservative principles were more important to him than party loyalty, he opposed every Democratic presidential nominee from Harry Truman in 1948 to Hubert Humphrey in 1968. The Judge was further frustrated by finding the Republican party too liberal for his taste, although he reluctantly supported Eisenhower for president in 1952 and 1956 and somewhat more enthusiastically backed Barry Goldwater in 1964. His political dogma was simple, unchanging and almost entirely negative: he opposed racial equality, federal ownership of tidelands oil resources, national welfare and public works programs, socialism in any form, and the mere existence of labor unions. Because the United States government, under both Democratic and Republican administrations, to some extent endorsed all of these, Leander became an indomitable foe of federal power in any form. Although he concentrated authority entirely in his own hands in Plaquemines, he denounced every vestige of centralized power in the national government. His antipathy toward Washington became so notorious that Earl Long once asked, "Whatcha gonna do now, Leander? The feds have got the atom bomb."